Due to recent changes in energy stance by the U.S. and the U.K., China has gone from an outsider in the Paris Accord talks to an authority in the matter. In a surprising move, China turns from coal to cleaner energy sources as the U.S. and other global leaders fall behind. We’re only human, and the truth is we only tend to care about something when it affects us directly (read: threatens our survival). For me personally, It’s sad to see. Yet, I understand how it might be difficult for the average person to see how something like swiftly declining ocean health affects them directly. Even harder still, is comprehending how climates half-way around the world can have a significant effect on both global health and economies. However, during my own time working and living in both Beijing and the rural areas of Hunan province in 2015, more than one of my colleagues recommended that I smoke as many cigarettes as possible since the inhaled smoke was “cleaner” than the city air. This is likely due to the fact that just before I arrived, Berkeley released a study showing Beijing smog inhalation caused health complications equivalent to smoking approximately 40 cigarettes a day. In 2017, things haven’t improved much for China’s overall air quality. Smog levels have reached historic “red alert” levels with airborne particle ratings hovering around 20 times higher than official WHO limitations. Moreover, although ozone (a key element in forming photochemical smog) is a serious problem for the nation, emissions only play a small part in China’s ongoing climate crisis. the biggest REM mining facility in the world) has resulted in visible environmental destruction within the span of two short years. Sadly, these environmental complications are part of the reason why the U.S. has traditionally moved manufacturing abroad to countries with more lax (or non-existent standards) and why China had not previously agreed to participate in the Paris Accord. Climate change prevention and environmentalism are often viewed as a luxury dictated by other pressing economic concerns. Academics and Greenpeace report that this technique is ultimately self-defeating, however. By pushing for climate conservation, nations like China could reduce their number of premature deaths by at least 81% resulting in an overall economic profit of $875 million USD. However, thanks in part to academic, scientific, and social activism, China is now actually on its way to becoming the global leader in renewable energy production. So, how exactly is China shaping up to become a world leader in clean energy sources? Firstly, the nation has dedicated itself to investing heavily in energy emerging infrastructures. In early January, China moved to dominate the renewable energy market by brokering billion-dollar energy contracts in Australia, Chile, and Germany. In fact, China now owns not only five of the world’s six largest solar module manufacturing firms but is also the world’s largest wind-turbine, lithium-ion battery, and electricity suppliers. As China increases its efforts toward mitigating global climate change, other countries are relatively dismissive of their previous Paris Accord agreements. Most disconcerting for those concerened with climate change is the U.S.’s changed stance toward the Paris talks. U.S. President Donald Trump has not only repeatedly dismissed climate change as a “hoax” in the past, but made campaign promises to withdraw from the Paris Accord as one of his first presidential acts. 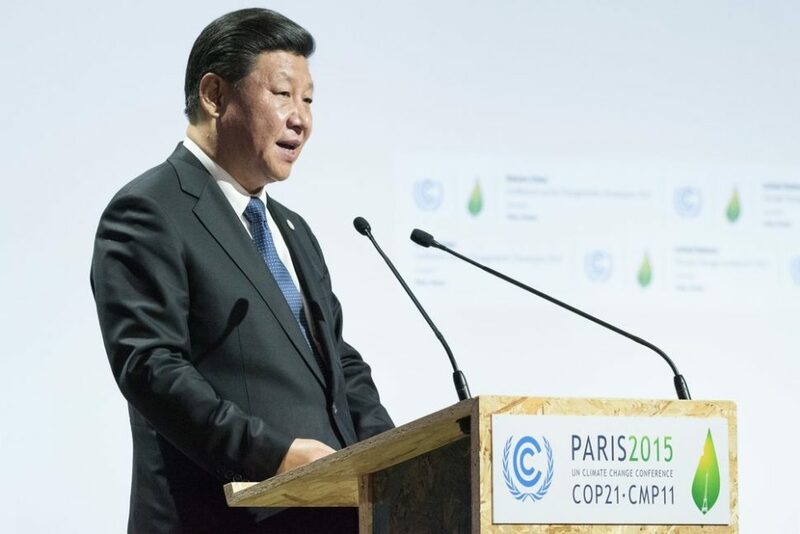 This stands in severe contrast to the stance of his predecessor, former U.S. President Barack Obama, who along with Chinese President Xi Jinping reaffirmed their dedication to emissions cuts in 2014. Although Trump’s views on climate change are “evolving” amid pressure from France, Belgium, Italy, and other various heads of the European Union, Pope Francis and other Cardinals still voiced their environmental concerns by presenting Trump with a papal influential encyclical on preserving the environment last Wednesday. Tim Buckley, director of the IEEFA, reports that these policies are putting countries at risk of a huge technological setback. “At the moment China is leaving everyone behind and has a real first-mover and scale advantage, which will be exacerbated if countries such as the U.S., U.K. and Australia continue to apply the brakes to clean energy,” he said. Is your country involved in the clean energy market? What stance do you think the EU, UK, AU, and India markets should take? Insightful. Informative. Brilliant. It was better than CATS!